If you’ve ever watched a television series, like “Hill Street Blues” or “NYPD Blue,” you are probably well acquainted with the mutual disdain between local and federal law enforcement. While the script for these shows was predictable, it was engrossing nonetheless. Cops were local bumpkins who policed on gut instinct, and whose ties to locals made corruption an ever-present danger. Feds were arrogant ‘suits’ who used wiretaps and hi-tech devices to drag in dozens at a time—cops included. When I recently joined the FBI in an advisory position—I spent two years visiting field offices around the country in an effort to understand how federal agents put together a case, and to gauge their impact on local public safety—such antagonism is exactly what I expected to find. Instead, I saw a different drama, one that has received far less attention, but is no less compelling. Increasingly, across the country, the town cop who walks a beat and relies on trust with locals may be a thing of the past; your neighborhood police investigation is increasingly likely to be a federal initiative, built on cooperation between your local police department and Washington, DC. In fact, with feds and local cops increasing their collaborations and seeking funding to expand their joint investigations, we may be seeing the end of “community policing” as we’ve known it. In the short run, this has been a good thing, since crime has grown more complex and stiff federal penalties are often necessary deterrents. But in the long run, it’s shaping up to be the biggest challenge to liberal governance and local autonomy that we’ve seen in some time. FEDERAL-LOCAL PARTNERSHIPS currently target a surprisingly wide range of crimes and it’s hard to pinpoint the criteria determining the involvement of FBI, DEA, ICE and other Department of Justice officials in local matters. Sometimes the locals are out-matched, at other times multiple-jurisdictions require federal coordination, and on occasion, a federal prosecutor simply finds a racketeering case too good to pass up. It’s almost always true, however, that the relationship is openly transactional. The feds bring gifts to the locals, in the form of cars, decent pay, and fancy surveillance gadgetry. In return the feds “rent” local cops (and the local knowledge they possess). And the results can be impressive: For violent gang interdiction alone, the FBI’s “Safe Streets” Taskforce has worked with police to net 55,000 arrests and 23,000 convictions. That is an extraordinary number given that the modern gangs are working out of prisons and communities that cut across the jurisdictions of local police departments—and sometimes national borders. The arrests are not the only victories. In Chicago, I assessed the outcome of such so-called “taskforce”-style partnerships and the evidence was promising: Residents felt safer using public spaces, storeowners experienced less extortion, and even gang members exited their organizations at a greater rate after a federal operation—unlike the past, today’s local-federal collaborations are well publicized. In the city’s Southside communities, where a typical month now hosts several hundred incidents of gun violence, this is no trivial accomplishment. And, of course, with towns, counties, and states struggle to fund services, federal resources are that much more attractive. Everyone wants the feds. It’s worth remarking, however, that this marks an enormous shift in American policing. Federal taskforces pose a direct threat to community policing, the enforcement strategy based on the belief that public safety is strongest when local cops and local community leaders work hand-in-hand. For decades, this style of policing was the national model of crime prevention. It kept money in the hands of mayors, police chiefs, and the unions. The biggest domestic law enforcement initiative in the last 30 years—Bill Clinton’s “Community Oriented Policing Services” (COPS) program, which funded 100,000 officers at a cost of $7.6 billion—was based on the community policing strategy. But the COPS initiative, ultimately, did little to stop or solve crimes. (The Government Accountability Office attributed only a 1.3 percent of crime reduction to the program.) Indeed, there’s reason to believe that community policing has become less effective as crime has become more complex. Criminals now routinely cross (state and international) borders, they work through prison networks even for local gang recruitment, and they are as likely as cops to draw on their own hi-tech tools. Local police in high crime areas simply couldn’t keep up on their own, and were forced into essentially becoming war-time surgeons performing triage. They had to choose which crimes to follow, prioritizing only those conflicts most likely to unravel and harm innocents. And they could not follow any particular crime or criminal for very long. Until, that is, someone gave them money to do more. Small wonder local police put up little resistance when federal agents asked to lease their staff. In police departments from Camden to Jacksonville to Oakland, where layoffs and restricted budgets have made classic daily beat patrols a luxury, the feds have deployed their technological arsenal—wiretaps, web scraping, voice and image recognition—to great effect. And necessity is breeding innovation. In the cities where taskforces dominate, policing is becoming unprecedentedly dynamic and nimble, involving police, when necessary, from a wide range of jurisdictions. After reviewing the data on taskforce impacts on crime, it’s hard not to admit that federal law enforcement deserves its preponderance of funding. In many ways, old fashioned community policing was no longer getting the job done, and it needed a face lift. The traditional big city approach looks clunky in comparison. But federal money is no panacea. 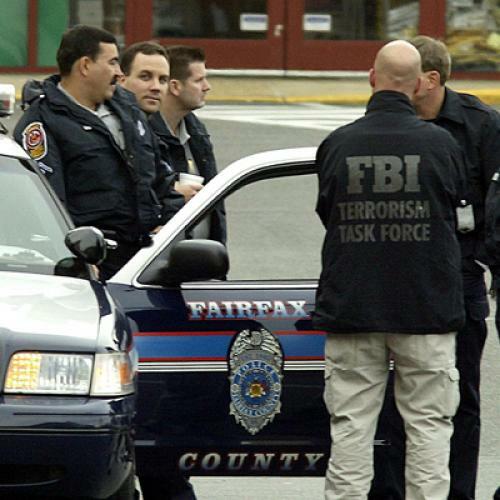 The goals of beat policing and federal investigations are not always closely aligned. A dirty little secret of good policing is that cop and thug communicate more often than we think. In nearly 20 years of watching cops and criminals duel one another on inner-city streets, I’ve rarely heard a beat officer say their first priority is to prevent crime. Most often, they are intervening in order to put out fires before innocents get hurt. This means knowing what thug to call (or threaten) after a flare-up. So what happens when federal agents and prosecutors want high-profile arrests for racketeering or other federal crimes? The answer is that when a police chief accepts federal largesse, she may also have to accept federal priorities—even if they hurt her ability to maintain good relations on the street. But even if local police remain tight-lipped about these trends, it’s our civic responsibility to recognize that even the best top-down policies can have unintended consequences. Reducing beat-style community policing creates a vacuum in local communities. A good cop spends far more time settling disputes informally than arresting people. From domestic violence to gangbanging, community policing can bring about timely, on-the-spot mediations and compromises where parties can go back into their corner and cool off. Though I saw a few FBI officers display this skill set, for the most part federal agents are too busy shuttling between crises to do this kind of work. Their solution is incarceration, which is a terribly ineffective means of creating daily public safety. If you’re wondering how these vacuums get filled, look no further than Sanford, Florida, where a gun-toting self-appointed neighborhood watchman shot and killed a young man he suspected of involvement in a crime. When it comes to the Guardian Angels or volunteer citizen patrols and block clubs, America’s tradition of self-reliance deserves recognition. But the line between a citizen army and a vigilante force is often blurry. Still, in the absence of community policing, communities of citizens will continue to try to solve their problems on their own. In Chicago, where a wave of gun violence is currently cresting, neighborhood residents have given up on calling 911, instead reaching out to work directly with local gangs when the cops aren’t around. It’s not inconceivable, of course, that they will soon simply find themselves calling 411 to get the number of their local FBI office. Sudhir Venkatesh is a professor of sociology at Columbia University.